Everything you need to know about the entrepreneurial status in Halifax, Nova Scotia. A Guide for New Destinations! The Finger Wiz… that is Oz! Focus statement: Jewelry designer, Ozlem Metinoglu Ozgun, describes how owning her own business is both a blessing and a cause of stress because she is now responsible for the good, bad and ugly sides of entrepreneurship. If I only had a … nice set of jewelry! Having dreamt about a jewelry business of her own back in 2003, 29-year-old, Ozlem Metinoglu Ozgun says it wasn’t hard creating her shop, but she stresses to future entrepreneurs that you have to take your time and make a strict business budget! 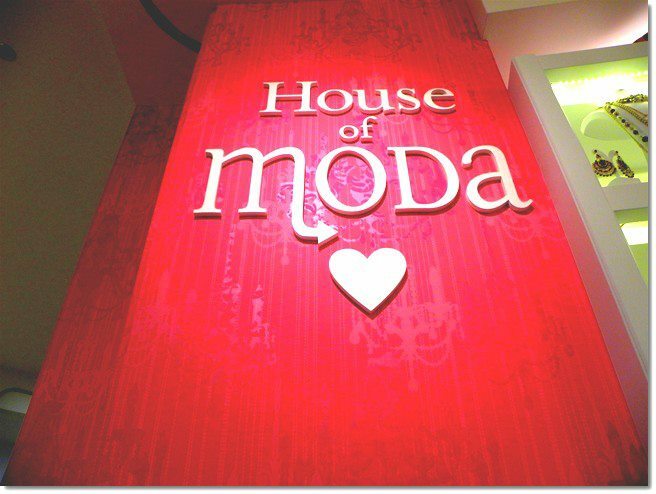 “To get ‘House of Moda’ (up and running) was over $100,000, not (including) the money we spent before the store. There are the wholesale show costs, travelling costs and always advertising costs,” says Ozgun. A business credit line was available to Ozgun. The jewelry designer has set camp at The Forum, Dalplex and The Halifax Market. “I was in my third year at SMU when jewelry-making (became my) passion,” said Ozgun. A family friend showcased Ozgun some Swarovski crystal jewels and the rest, as they say, is history. “I became interested in designing my own line and spent four months in Turkey in a private design team. It was mostly housewives, taught by another housewife,” Ozgun says with a chuckle. 2010 was the year Ozgun finally got the opportunity to build her small empire. During special occasions, Ozgun is overwhelmed with innovating and fixing broken pieces of jewelry that are returned, as she is the sole creator of the unique designs. Amanda Chater, a regular customer to HoM says Ozgun’s professional, friendly personality brought her into the store. Chater adds HoM’s prices are reasonable for the product. 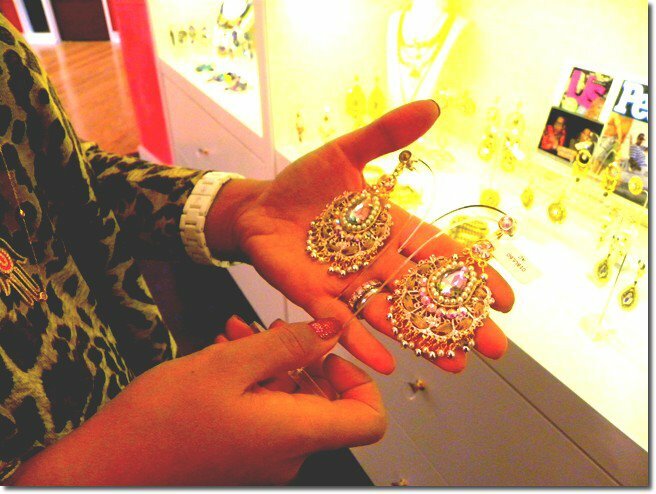 They must be, since Chater has purchased more than nine pieces of Moda’s accessories. However, it’s not an easy job. “Making jewelry gets very frustrating sometimes, and it’s hard to find trustworthy and hardworking staff,” says Ozgun. Nadine Blinn, HoM employee since May 2011, says the jewelry does all the work for her. The part-time flight attendant says Ozgun’s age gives her the ability to inspire young business dreamers. “I give out her business card everyday to people around the globe asking (where I got my) jewelry. I’ve (sold her styles) to women up to the age of 90. Ozlem’s vision includes any age or style of girl,” says Blinn. Meaghan Mccafferty, previous customer of HoM, says she finds the prices pricey, but praises Ozgun’s ambition. As for youth involvement in her business, Ozgun says student applicants come in every week. EXTRA TIDBITS ON OZLEM’S SUCCESS! HoM has given Ozgun many successes, including an encounter with the famous singer, Beyonce Knowles in 2008, after attending the superstar’s tour in Toronto, Canada. She expresses her favourite thing about HoM is helping people make fashionable choices, but says owning your own business causes much unwanted stress. Azil Ozgun, Ozgun’s business-savvy husband, aids her with most of the behind-the-scenes accounts — having a business degree himself. HoM’s prices range from $45 up to $200. CLICK THE FOLLOWING TO LEARN MORE ABOUT THE DESIGNER AND HER SHOP! The Finger Wiz … that is Oz! Sisters Ece and Bengisu Gonul have worked at one of Spring Garden Road’s most adored restaurants, Turkish Delight, and have learned very valuable lessons from their experience! Jewelry designer, Ozlem Metinoglu Ozgun, describes how owning her own business is both a blessing and a cause of stress because she is now responsible for the good, bad and ugly sides of entrepreneurship. Like Turkish Delight on Facebook!